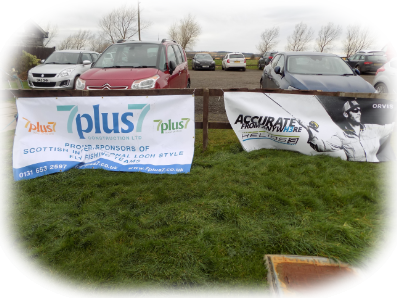 7plus7 Construction, the Lake of Menteith Fishery, Fishers, Angus Angling and Seaguar are the main sponsors of the Spring and Autumn International Teams in 2019. 7plus7 Construction and Fishers have provided support for the teams since 2011 and this is the eleventh year that the Lake of Menteith has sponsored the teams and they are joined in 2019 by Robert Kyle, Hoist And Access Services Ltd, The Cornerstone B & B and Restaurant, M McKenzie Skip Hire, Jewsons, Magnet Trade, Advance Construction, and St Andrews Timber & Building Supplies. Their websites can be viewed by clicking on their logo. We are grateful to them for their continued support. The funding provided by them will be used to reduce the costs that would otherwise have to be paid by the individual team members. 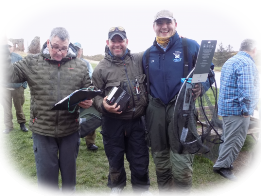 The 2019 Scottish National Trout Fly Fishing Championship will be sponsored for a seventh year by Ridgeline UK. The Ridgeline products can be viewed by clicking on the Ridgeline logo. The hook/fly measures used in the National are provided by 7 Plus 7 Construction and the paper used for the catch returns is provided by R & E Hygiene. The hook/fly measures used the Scottish Club Championship and the Champion of Champions are provided by Keir Hardie Joinery. The SANACC Committee wish to thank these sponsors for supporting our teams and competitions and it would be appreciated if our members would in turn support them. The Spring and Autumn Teams are tying flies which will be put in two presentation fly boxes each of which will contain 140 flies. These boxes will be raffled during the 2019 season with raffle tickets for the first box being available at the National Championship Heats and tickets for the second box will be available at the semi finals. We are holding three fundraisers in 2019 to raise funds for the 2019 Loch Teams who are going to Grafham Water in the spring and the Lake of Menteith in the autumn. The fun starts on Saturday 16th February at Parkview in Fife. 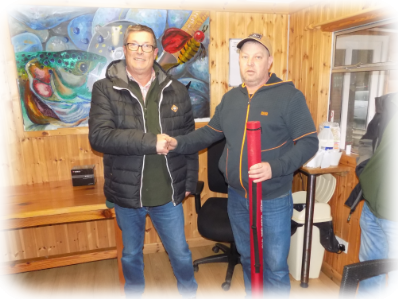 The Waterfront Trout Fishery, Coylton hosts the second on Sunday 24th February and the third is the Loch Teams Fndraiser Cup at Markle on Saturday 2nd March. It's not too late to sponsor a peg or donate prizes. The teams wish to thank the management at Parkview, Waterfront and Markle for supporting our fundraisers. The Teams wish to thank N D Barrett Electrical Conractors; George Charters Painters & Decorators; Paul Garner; James Haig & Sons Painters & Decorators; R & E Hygiene Duct Cleaning and Maintenance; Derek Marklow; Stuart Marklow Plastering Services; 7Plus7 Construction; The Rose House Perth; Allan Smith Electrical; Mick Tait Plumbing, The Cornerstone Scalloway, KRJ Construction, Dragon House, Shetland, Duncan & Henry Joinery, Shetland and Darrell Young Painters & Decorators for sponsoring pegs. 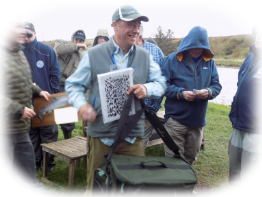 They also wish to thank Fishers, Scierra, Flybox, FNF, Orvis, Airflo, Leeda, Angus Angling, Stenhouse fishery, Neil Duff, Raith Lake, Comp Candy Trout Flies, Jock Royan Salmon Flies, Russell Hotel Saint Andrews and Lindsay Simpson River flies who all donated prizes. 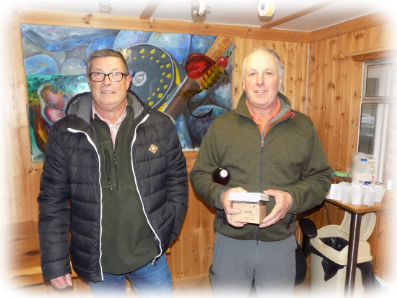 The Scottish Loch Teams Fundraiser Cup at Markle Fshery, after twice being rescheduled due to the weather, finally got underway on Saturday 2nd March. 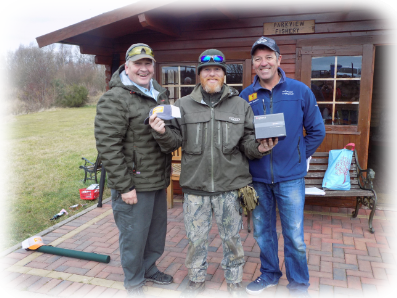 The teams are grateful to the Markle mangement and staff for their patience and support over the last month and to all the anglers who managed to attend on the day and the others who had their names down for the other dates but were unable to attend on the 2nd. Our organiser, Jock Kettles, did a great job in getting 50 competitors to arrive after twice having to cancel. Conditions on the day were far from perfect with a cold wind that gradually strenghtened towards the end of the match. The fish didn't like the conditions either and kept their heads down but the anglers still managed to get 70 of them to the net. Tea and coffe was on hand throughout the day and at half way the competitors were treated to hot soup, pie and beans followed by plenty of cake provided once again by Mrs Mackenzie. Brian Mackenzie must have been spurred on by his wife's generosity and at the end of the day he was top rod with 7 fish. Ally Middlemass was close behind in second with 6 fish while Jamie O'Meara and Grant Osler, who both caught their first fish at the same time, were in third with 4 fish. Billy Drysdale who also had 4 fish was fifth. 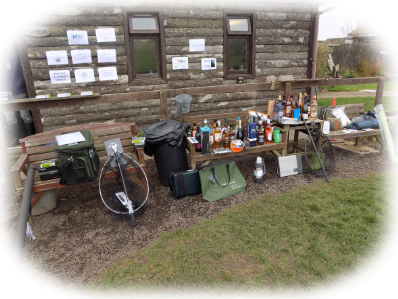 Our second fundraiser was held on Sunday 24th February at the Waterfront Trout Fishery, Coylton and the 32 anglers who were able to attend had excellent weather, excellent catering and excellent fishing. 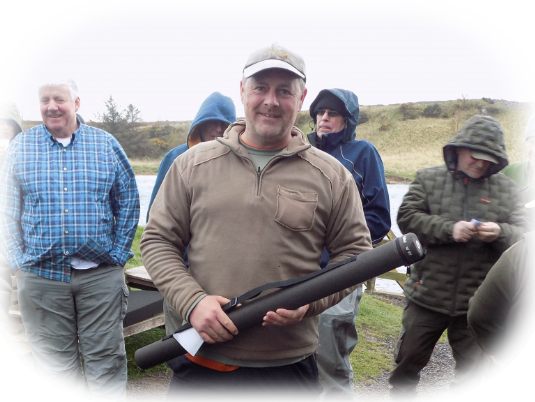 The 32 anglers were treated to breakfast rolls on their arrival at the Waterfront and for lunch they had soup along with a choice of chicken curry, lasagne or macaroni cheese followed by Mrs Mackenzie's cakes. Some even found time to fish and they recorded a catch of 230 hard fighting trout of which two were around 8lbs and one was over 10lbs. The loch teams wish to thank Cameron Dodds and Colin Pang for their support of this fundraiser. There was not a lot between the top half dozen competitors with Stephen Cowan (16 fish) just coming home in front from Brian Brown who also had 16 fish. Billy Reid was third with 13 fish and Greg McLaren, also with 13 fish, was fourth. The loch teams wish to thank all of the anglers who took part and everyone who donated, prizes, sponsored pegs or bought raffle tickets. 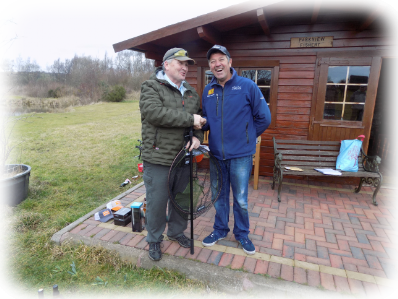 Parkview hosted the first of the fundraisers and the twenty one anglers who took part were welcomed to the fishery by Jim and Edna who looked after them throughout the day. They had their fish in excellent condition and right from the start of the day the trout were on the feed with a good number being caught in the first half hour. This event is looked forward to by many anglers who return year after year to have a great day out and to support the loch teams. This year there were a few previous winners looking to win again and they included 2018 winner Ray Anderson, 2017 winner Jock Kettles, 2016 winner Ronnie Gilbert and 2015 winner Neill Barrett. The day was organised once again by Wullie Simpson with Rab Maxwell weighing the heavier fish and Jock Kettles acting as auctioneer. 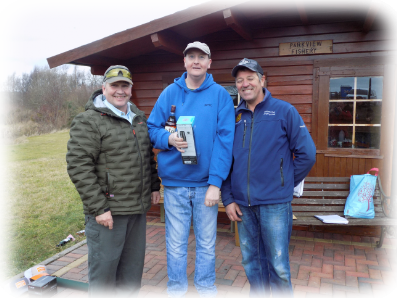 Jock Kettles was leading the field after the morning sessions but in the afternoon local anglers Sandy Page and Paul Watt (second in 2017) gave the competitors a demonstration in how to catch fish and the pair had a private battle for the winners spot as they drew clear of the field. 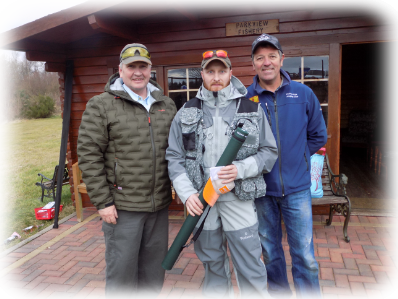 Sandy Page eventually came out on top with 21 trout with Paul close behind with 19. Jock Kettles was third with 13. A total of 171 trout were caught and released and a good number of those were over 3lbs. Fish of 8lbs 8ozs, 9lbs 5ozs and 9lbs 8ozs were recorded but the heaviest trout of the day weighed 11lbs 8ozs and was caught by Stevie Anderson. 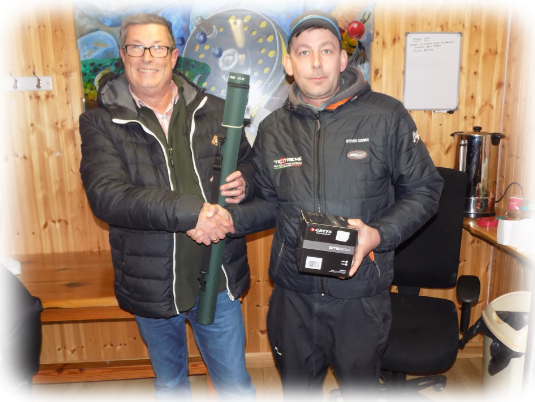 The 2019 loch teams wish to thank all of the anglers who attended and everyone who donated prizes and sponsored pegs.